315 posts categorized "Cap-and-Trade Watch"
Representatives of 195 nations reached a landmark deal on Saturday that will commit almost every country to lowering planet-warming carbon emissions. It was six years in the making. The tough task of delivering on those promises now begins, but scientists are optimistic because of the cooperative tone of the negotiations. Seven concrete measures have been agreed to. And here’s what they mean for the planet, businesses and politics. So, in the case of the United States, for example, those policies that will enable the country to achieve its submitted INDC are: the Clean Power Plan (which will accelerate the shift in many states from coal to natural gas for electricity generation, as well as provide incentives in some states for renewable electricity generation. ); CAFE (motor vehicle fuel efficiency) standards increasing over time (as already enacted by Congress); appliance efficiency standards moving up over time (as also already enacted by Congress); California’s very aggressive climate policy (AB-32); and the northeast states’ Regional Greenhouse Gas Initiative. Unfortunately, the United States still has a ways to go in terms of even agreeing that human beings contribute to the climate change problem. I’ve been confused about this Paris climate conference and how the world should move forward to ameliorate climate change, so I séanced up my hero Alexander Hamilton to see what he thought. I was sad to be reminded that he doesn’t actually talk in hip-hop, but he still had some interesting things to say. Ah, David Brooks has deep insight into what his hero, the 18th Century Alexander Hamilton, would say about a 21st century problem, climate change. I love these thought experiments! Not really: I'm actually very pessimistic that Hamilton/Brooks will have much useful to say about any environmental problem, since that was not one of his concerns in the 18th century brand new United States of America. But hey, Hamilton is my favorite founding brother so I'm interested. First, he was struck by the fact that on this issue the G.O.P. has come to resemble a Soviet dictatorship — a vast majority of Republican politicians can’t publicly say what they know about the truth of climate change because they’re afraid the thought police will knock on their door and drag them off to an AM radio interrogation. Ok, I agree with Hamilton/Brooks on that point. This week’s Paris conference, I observed, seems like a giant Weight Watchers meeting. A bunch of national leaders get together and make some resolutions to cut their carbon emissions over the next few decades. You hope some sort of peer pressure will kick in and they will actually follow through. The co-author of the Federalist papers is the opposite of naïve about human nature. He said the conference is nothing like a Weight Watchers meeting. Unlike weight loss, the pain in reducing carbon emissions is individual but the good is only achieved collectively. That's not quite true. The co-benefits of mitigating climate change with efficient government regulation might be greater than the costs. You’re asking people to impose costs on themselves today for some future benefit they will never see. You’re asking developing countries to forswear growth now to compensate for a legacy of pollution from richer countries that they didn’t benefit from. You’re asking richer countries that are facing severe economic strain to pay hundreds of billions of dollars in “reparations” to India and such places that can go on and burn mountains of coal and take away American jobs. And you’re asking for all this top-down coercion to last a century, without any enforcement mechanism. Are the Chinese really going to police a local coal plant efficiently? Hamilton/Brooks is correct about pinky swears. But did Brooks/Hamilton ever think that some sort of enforcement mechanism could be worked into an international agreement? Don't go all WTO illegal on me, but a retaliatory tariff on any country that cheats on its commitments might reduce cheating. This is perfectly designed to ensure cheating. Already, the Chinese government made a grandiose climate change announcement but then was forced to admit that its country was burning 17 percent more coal than it had previously disclosed. The cheating will create a cycle of resentment that will dissolve any sense of common purpose. Is this more evidence of NY Times China bashing? Why not just use Volkswagon as your example of cheating on environmental regulations? Oh, never mind. I countered by pointing out that policy makers have come up with some clever ways to make carbon reductions more efficient, like cap and trade, permit trading and carbon taxing. The former Treasury secretary pointed out that these ideas are good in theory but haven’t worked in reality. Cap and trade has not worked out so well in Europe. Over all, the Europeans have spent $280 billion on climate change with very little measurable impact on global temperatures. And as for carbon taxes, even if the U.S. imposed one on itself, it would have virtually no effect on the global climate. The grand experiment of cap-and-trade, the acid rain program in the U.S., worked just fine (until the NC Attorney General sued). And the EU Emissions Trading Program is a continuing experiment itself. It appears that the EU is iterating toward something that will be more successful than what they've achieved so far. Hamilton steered me to an article by James Manzi and Peter Wehner in his favorite magazine, National Affairs. The authors point out that according to the United Nations Intergovernmental Panel on Climate Change, the expected economic costs of unaddressed global warming over the next century are likely to be about 3 percent of world gross domestic product. This is a big, gradual problem, but not the sort of cataclysmic immediate threat that’s likely to lead people to suspend their immediate self-interest. 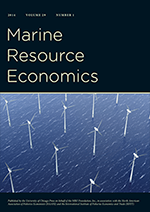 Hey lookie, I can do that too: Hamilton steered me to an article by Martin Weitzman in his favorite environmental economics journal, Review of Environmental Economics and Policy. The author points out that while the catastrophic threat isn't immediate, it should be taken more seriously than Brooks/Hamilton takes it. Also, the more mundane benefits should be considered in comparison to the costs. Look at what you’re already doing, he countered. The U.S. has the fastest rate of reduction of CO2 emissions of any major nation on earth, back to pre-1996 levels. That’s in part because of fracking. Natural gas is replacing coal, and natural gas emits about half as much carbon dioxide. Brooks/Hamilton is a fan of fracking! My guess is that Hamilton/Brooks' rich friends benefit from fracking, but that might be an unfair criticism from his political opponents. The larger lesson is that innovation is the key. Green energy will beat dirty energy only when it makes technical and economic sense. Hamilton reminded me that he often used government money to stoke innovation. Manzi and Wehner suggest that one of our great national science labs could work on geoengineering problems to remove CO2 from the atmosphere. Another could investigate cogeneration and small-scale energy reduction systems. We could increase funding on battery and smart-grid research. If we move to mainly solar power, we’ll need much more efficient national transmission methods. Maybe there’s a partial answer in increased vegetation. Brooks/Hamilton is in favor of freakonomics-style giant sulphur sucking tubes. Hamilton pointed out that when America was just a bunch of scraggly colonies, he was already envisioning it as a great world power. He used government to incite, arouse, energize and stir up great enterprise. The global warming problem can be addressed, ineffectively, by global communiqués. Or, with the right government boost, it presents an opportunity to arouse and incite entrepreneurs, innovators and investors and foment a new technological revolution. Apparently, the "right government boost" is a subsidy to the green energy sector because a carbon tax or cap-and-trade would never create a similar incentive to entrepreneurs, innovators and investors. Right? Wrong. Green energy subsidies could be fine but are no better than a carbon tax or cap-and-trade in terms of "a new technological revolution." The big problem with a subsidy is that you either need to raise taxes or borrow money to fund them. A carbon tax or cap-and-trade with auctioned permits will raise government revenue. Sometimes like your country you got to be young, scrappy and hungry and not throw away your shot. Oh wow, Brooks/Hamilton equates COP21 to the infamous duel with Aaron Burr. Hamilton shot into the air (i.e., the U.S. adopts a climate change policy) while Vice President Burr shoots at the adversary (i.e., the rest of the world destroys the U.S. economically). Bravo Brooks/Hamilton!!! This is really cute and like some of what David Brooks writes, a bit wrong*. What is galling is the weak and disingenuous use of the contextual policies of the Revolutionary War era to justify whatever it is you want to do today. I'm also a fan of Alexander Hamilton and have read the book (the musical hasn't come to Boone yet). Hamilton was the foremost proponent of a strong central government in the 18th century. He was loathed by small government types like Thomas Jefferson. He established a central bank for the U.S. after the federal government bought up all of the state debt after the war. He paid for that debt through tariffs. Just like much of the entire country back in the old days (Hamilton to Clay** and beyond), he was a protectionist. So hey, let's slap some tariffs on Europe now because David Brooks' hero actually, instead of in a pretend seance, did it! On the other hand, if you think about it, protectionism in the 18th and 19th centuries can be justified as efficient using the infant industry argument and the need for government revenue. But today for the U.S. that doesn't make much sense. Just like that, you can't really apply 18th century policy to 21st century problems (this principle has other applications). My interpretation of Hamilton is that he may have been delighted to have something like a carbon tax to generate government revenue to pay off the (Iraq) war debt. *See Andrew Gelman on the David Brooks files. **I'm finishing my two year journey through Henry Clay's biography this month. Clay, a leader of the Whig Party, was also a protectionist who was in favor of big public work projects ("internal improvement"). Next up, George Washington. OBAMA CHATS CARBON TAX: President Obama downplayed Tuesday the likelihood of the U.S. passing a tax on carbon dioxide pollution any time soon, though he acknowledged that a carbon price is his preferred way to address climate change. "It's difficult," Obama told reporters on Paris on Tuesday. He said, though, that as private entities like insurers begin to raise their prices to deal with climate change, lawmakers might be inclined to follow the trend and approve a cap-and-trade system in the future. "The more the market on its own starts putting a price on it because of risk, it may be that the politics around setting up a cap-and-trade system, for example, shifts as well," he said. Obama has long supported cap-and-trade, calling it Tuesday "the most elegant way" to address climate change. But he failed to pass such a proposal through Congress during his first term. Before Obama went to Paris on Sunday, a slate of academics, policymakers and scientists with the Carbon Tax Center released a letter pushing world leaders to institute carbon pricing in their push against climate change. "We are seeing the beginning of a global transformation to sustainable, clean energy," Steven Chu, Obama's first secretary of Energy, said in a statement. "A clear, rising carbon tax in as many countries as possible is the best way to accelerate this revolution." This summary goes back and forth between cap-and-trade and carbon tax as if they almost synonomous (i.e., both good ways of addressing climate change). Snark: Weird that, when we all know that there is only one acceptable economic incentive-based policy! Q. Why a carbon tax and not a cap-and-trade system? A. A carbon tax is much simpler. In cap-and-trade, one of the issues becomes: how do you allocate those permits for carbon emissions? A fully auctioned cap-and-trade system is very, very close to a carbon tax. But in practice, people who write the bills often don’t auction [all the permits] off, and [politicians] start using these permits to start paying off particular constituencies politically. That means that you’re basically pricing carbon, but you don’t have the revenue that you can use to reduce people’s taxes. Given the political process, most environmental policies are not without flaws when they are first implemented (yes, this would include the beloved carbon tax). Good environmental policy is usually the result of an evolutionary process. Economists often praise the market system for being flexible and government policy for being inflexible. Yet, here is an example of the flexibility of government (albeit, it took long enough!). The European Union seems to have a sincere policy goal of cutting carbon, tried to do so with cap-and-trade, made some mistakes and is now trying to fix those mistakes. Grist: "This conservative economist makes the case for a carbon tax"
N. Gregory Mankiw is, if not a household name, a dorm-room one. His Principles of Economics textbook is the standard for most college intro-to-econ courses, with more than a million copies sold. A professor at Harvard, Mankiw teaches the university’s most popular undergraduate course, Econ. 10. He’s also well known in Republican circles. President George W. Bush named him chair of the Council of Economic Advisers in 2003, and in 2006, Mitt Romney brought on Mankiw as an economic adviser, a role the economist played throughout Romney’s 2012 presidential bid. Q. Elon Musk is an advocate of a carbon tax, with the idea that it could catalyze the cleantech industries, and possibly be a job-creation engine. A. Again, I wouldn’t push a carbon tax as a huge job creator. Some jobs will be created, some jobs will be destroyed. Some industries will grow, some industries will shrink. I don’t think the overall economy’s going to boom. There are a number of questions with a lot of great answers (e.g., regarding climate science: "I can read the consensus of scientists, so I take that as a given and go on with economics.") I've excerpted only two, on familiar themes. One answer I agree with and one I don't. I don't agree on the preference for a carbon tax over cap-and-trade with the reason being that politicians will enjoy passing out free permits. This is comparing an ideal carbon tax, with no tax breaks, with a politicized cap-and-trade. I see nothing about politics to suggest that a carbon tax will be immune to enjoyment of politicians passing out tax breaks. And I most definitely agree that a carbon tax will not create jobs.